Blackmagic Design announced that DaVinci Resolve 11 public beta is available for customers to download now. 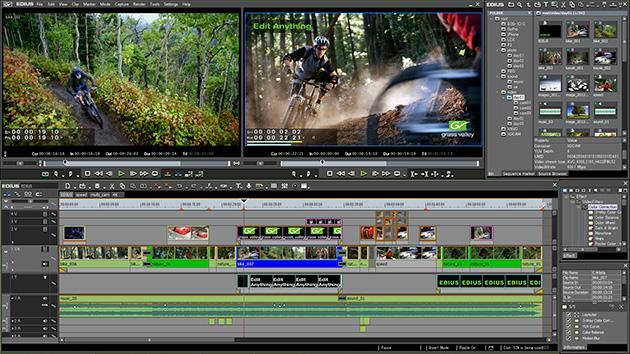 DaVinci Resolve 11 is a major upgrade with over 100 new editing and color grading features. This new update includes major improvements in online editing plus context sensitive trimming, onset file cloning, photographer style color grading tools and an amazing new collaborative workflow that allows multiple users to work simultaneously on the same timeline. 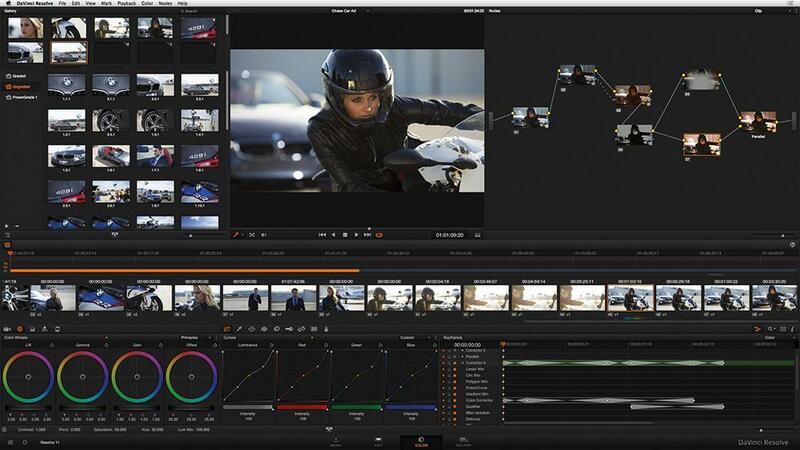 The new DaVinci Resolve 11 has over 70 new editing features based on feedback from professional editors. With DaVinci Resolve 11, editors now have dual monitor support and familiar professional tools like dynamic JKL trimming, audio crossfades and fully customizable keyboard shortcuts for faster editing. Trimming tools are context sensitive, which means DaVinci Resolve automatically knows whether editors want to ripple, roll, slip, slide, extend or shorten edits, based on the position of the mouse. This makes editing super fast because time is not wasted switching tools and clips can be trimmed on multiple tracks simultaneously in the same direction, or asymmetrically. DaVinci Resolve 11 features a new spline curve keyframe editor integrated into the edit timeline that positions keyframes directly under each clip and in context with the clip. Editors can now also add and animate open FX plugins directly in the timeline as well as use plug-ins for transitions. The new collaborative workflow tools in DaVinci Resolve 11 allows an editor and multiple colorists to work on different workstations, sharing the same timeline and working in tandem as they complete shots. An example is a colorist could be color grading or tracking windows while another colorist fine tunes grades that are all immediately updated as the editor edits. Each user can see the timeline update so they are all working on the same job at the same time. Sharing the same timeline makes it much easier for creative teams to stay in sync and work faster on large complex jobs such as feature films and television programming. One of the most exciting advantages of the enhanced editing features in DaVinci Resolve 11 is the dramatically better round trip collaboration with Apple Final Cut Pro X. This is possible because more of the features in each application are compatible so projects can be moved back and forward easily. A powerful example of this integration is when a Final Cut Pro X customer might be shooting an independent film but then wants to move their edit to a large Hollywood post production facility for color grading and finishing. This is an exciting workflow that makes it possible to allow independent filmmakers to integrate with the largest post production facilities. Color correction features have also been upgraded in DaVinci Resolve 11, including all new RAW image and color grading controls that are designed for photographers who are moving into cinematography. The new camera RAW palette features highlight and shadow recovery, mid tone detail, color boost, saturation, lift, gain and contrast. DaVinci Resolve 11 solves the single frame limitations of photo enhancement systems and gives photographers advanced control over RAW images so they can pull the maximum detail from high dynamic range footage in real time. Adding to DaVinci Resolve’s powerful on set tools, DaVinci Resolve 11 can now securely back up and save digital camera files. The new DaVinci Resolve clone tool copies media drives, memory cards and camera packs to multiple destinations simultaneously. All copies are checksum verified, that means users get exact bit for bit digital copies of their source media. The new clone tool is included in the free DaVinci Resolve Lite and can be installed on a laptop for on set use. DaVinci Resolve 11 also features a unique and powerful automatic color chart color balancing tool that works on all types of footage including video, RAW and even film. The new color match tool automatically gives a primary base grade by analyzing shots containing standard color chip charts even if they were shot in different lighting conditions with different exposure and color temperatures. DaVinci Resolve 11 also adds optimizations to OpenCL image processing which allows improved rendering speeds on the new Apple MacPro systems. The MacPro features dual GPU’s so is the ideal solution for customers looking for an “off the shelf” solution that easily handles the high processing speeds when working on Ultra HD work in the deepest YRGB 32 bit float processing quality. DaVinci Resolve 11 public beta is available now for download from the Blackmagic Design web site free of charge for all DaVinci Resolve customers.